Trophic level is an organisms position in a food chain (or food web), and describes the way energy is obtained. (Purves, 1060). For example, plants are in the first trophic level. As producers who make their own energy, they are known as autotroph. Hetertrophs that eat plants (herbivores) are in second trophic level, and carnivores follow. Most plants are autotrophs, but some live as obligate parasites and are therefore heterotrophs. 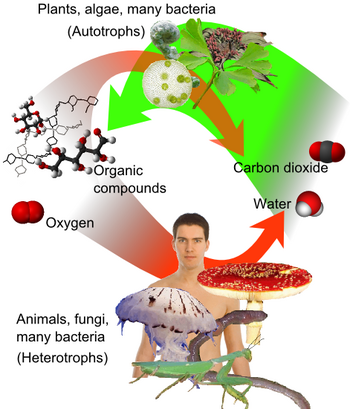 If an organisms cannot synthesize the organic and inorganic compounds they need to survive, but must obtain them by consuming other organisms, they are considered heterotrophs. Depending on how the heterotrophs use carbon, there are two subtypes of the heterotrophs. Autotrophs are the organisms that produce complex organic compounds using energy that is either derived from the sun or inorganic chemical reactions. (Auto means self and troph means nutrition in Greek). The trophic level happens in sequence, so it can use the ecological pyramid to explain it easily. There are three types of the pyramids and each name describes what kinds of the pyramids are. 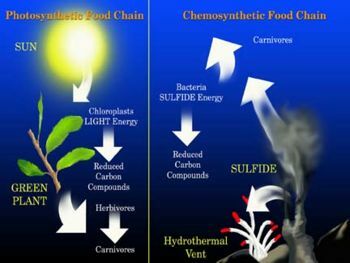 Omnivores consume both plants (autotrophic) and animals (heterotrophic) organisms, and are therefore considered multitrophic. Many species commonly referred to as carnivores are actually omnivores. (Purves, 1060) Examples of the omnivores include dogs, cats, and seals. This page was last modified on 28 December 2010, at 13:38.